The 28-year-old actress Kristen Stewart in a white T-shirt was seen out with Sara Dinkin in Los Feliz. The 28-year-old actress Kristen Stewart, who debuted in the Disney Channel film “The Thirteenth Year” at the age of eight, in a white denim shorts out for lunch with Sarah Dinkin in Los Angeles. The 28-year-old actress Kristen Stewart in a red hoody on morning hike out with Sarah Dinkin in Los Feliz. 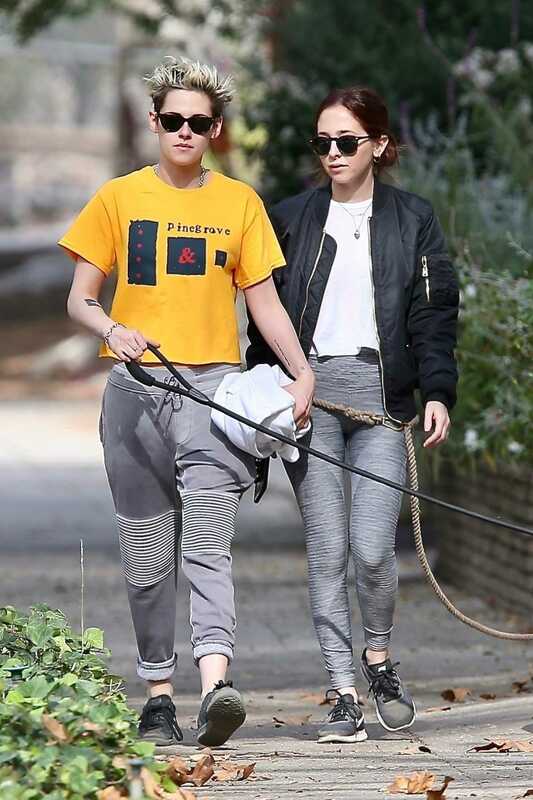 The 28-year-old actress Kristen Stewart, who won a Cesar Award for Best Supporting Actress for her role in the 2014 film “Clouds of Sils Maria”, in a gray cropped T-Shirt out for lunch with Sara Dinkin in Los Feliz. The 28-year-old actress Kristen Stewart was spotted out with her new rumored girlfriend Sara Dinkin in West Hollywood. The 28-year-old actress Kristen Stewart, who debuted in the Disney Channel film “The Thirteenth Year” at the age of eight, in a yellow T-shirt walks her dogs in Los Angeles. The 28-year-old actress Kristen Stewart wears all denim out in Hollywood. The 28-year-old actress Kristen Stewart, who won a Cesar Award for Best Supporting Actress for her role in the 2014 film “Clouds of Sils Maria”, leaves the Palace Festival in Cannes. 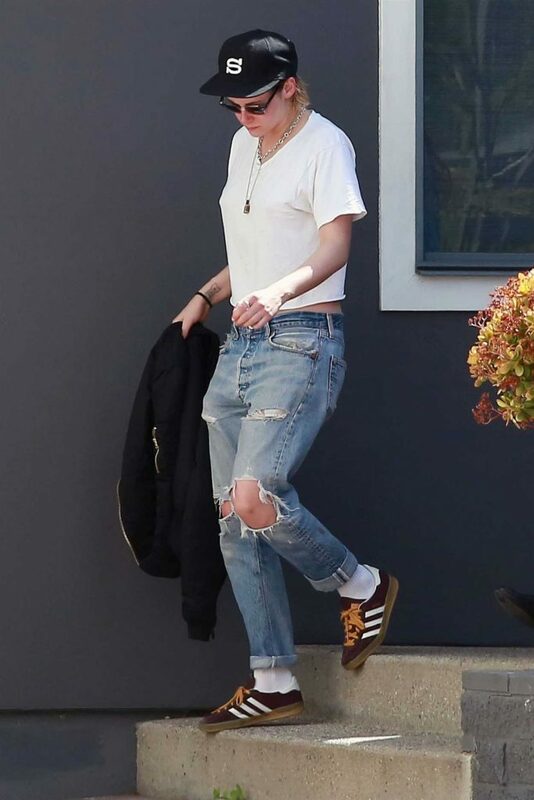 The 27-year-old actress Kristen Stewart wears a ripped blue jeans out in Los Angeles. The 27-year-old actress Kristen Stewart, who debuted in the Disney Channel film “The Thirteenth Year” at the age of eight, was seen at LAX Airport in Los Angeles.